What are Mold Removal Services? Mold feeds off of moisture in organic materials like drywall, wallpaper, and wood. Moisture may appear and accumulate from water damage from rainy weather or a burst pipe or leaky appliance. Rainfall in Austin hit an all-time high in 2015 at over 77 inches of annual rainfall and hitting almost 60 inches in 2018. This heavy rain has caused Austin’s mold count to rise. If your roof has a leak or if the landscaping around your home grades toward your house, there is greater chance water will sneak into your home and create a birthplace for mold. If you find any kind of mold your home or commercial building, it’s important to remove it immediately and safely so that the mold spores don’t spread. Exposure to mold for a prolonged period of time–no matter the type of mold–can affect your health and damage the integrity of your home. After the mold is discovered, determine if it is safe for you to clean up yourself or if you should hire a mold removal service to conduct mold remediation. 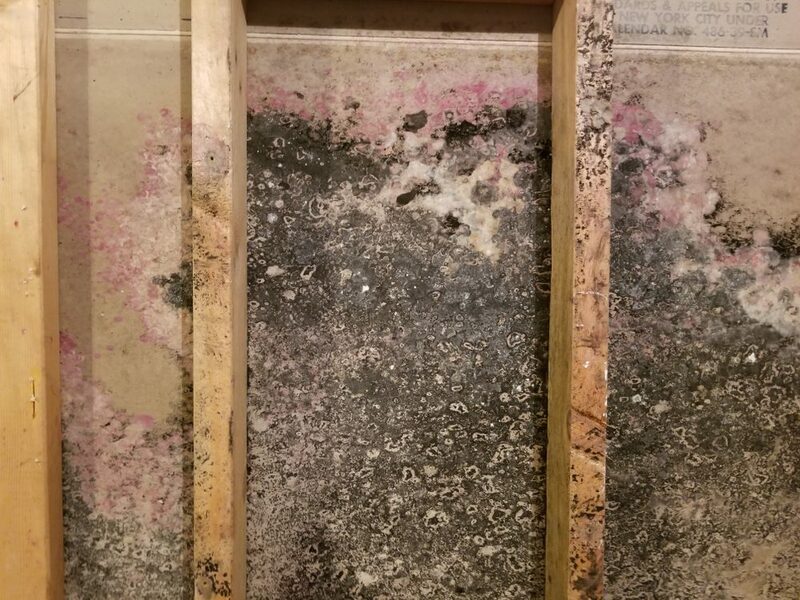 Mold remediation is the process of removing the contaminated debris and materials, as well as fixing the disinfecting the area and cutting off the moisture supply that caused the mold to grow in the first place. Learn how to prevent future mold growth. Safety first. Some mold spores, although uncommon, contain mycotoxins (like some types of black mold) and may be a danger to your health. As a precaution, when you are near the contaminated area, wear a respirator or face mask rated for mold. Inspect the area. If you can, find the source of moisture and cut it off to prevent new mold growth. Asses the damage. If the mold is covering larger than a three foot by 3-foot space, or if it’s heavily concentrated or near an HVAC system, it will need to be contained with thick plastic sheets and duct or contractor tape, as well as properly ventilated to remove and direct any existing moisture outside. Bleach is not effective to kill mold. Many people think they can DIY mold removal by spraying a bunch of bleach on the affected area and wiping it down. Although many people use this, it’s more effective to use an EPA-approved and registered biocides and solutions, that have been thoroughly tested and proven to kill mold and mildew. Need to hire a mold removal service? Blackhill Restoration is a leader of mold removal in Austin. Contact us today to have one of our professional IICRC Mold Certified Estimators come out and perform a mold inspection and assessment to determine the why you are experiencing excessive mold growth and provide you with a mold estimate on how our team will perform mold removal and mold remediation services. 0 Comments on "Professional Mold Cleanup in Austin"